Is it possible to How To make money with WordPress in 48 hours? Yes, absolutely. Recently, I have got a lot of queries on ways to make money with WordPress in 48 hours, we will be addressing some really amazing solutions today. WordPress can be a really easy way to make money online. The WordPress platform offers multiple mediums to make money and work from home. Before we explore some of these amazing mediums to make money with WordPress in 48hours. Let’s have a basic understand of the framework that makes these money-making opportunities possible. WordPress (WordPress.org) is a free and open-source content management system (CMS) based on PHP and MySQLFeatures include a plugin architecture and a template system. WordPress is mostly associated with blogging but supports other types of web content including more traditional mailing lists and forums, media galleries, and online stores. WordPress is used by about 60 million websites. According to research, an estimated 30.6% of the top 10 million websites, are built on WordPress. As of April 2018, WordPress is the most popular website management system in use. Although WordPress is mostly associated with blogging, you do not necessarily need a website/blog to make money with WordPress. The opportunities we will be addressing will allow you to make money with WordPress in 48 hours even without a blog. Okay then, without any further delays, let’s dive into the next section were you will learn how to make money with WordPress in 48hours. Are you a web designer or web developer? Then this is your opportunity to make some cool cash. All you need to do is pick an audience you want to build your theme for and start building. You might be thinking, how can I make money as a theme designer? Well, its pretty simple. When you have finished creating your unique and quality theme, all you have to do is sell them on sites like Themefrost and Creative Market. Every blog needs a theme.You can make money with WordPress in 48hours easily by Creating and selling amazing themes. Can you write quality content? Every blog needs a creative writer that provide a constant flow of articles. As a freelance writer, you can make money with WordPress in 48 hours by writing for blogs. The demand for talented writers that can create quality content is presently on the high. To become a freelance writer, you must be creative and have a solid knowledge of SEO.You can find WordPress content writing jobs at ProBlogger Job Board, Elance, Odesk, etc. This is an amazing way to make money with WordPress. An ad network is all about connecting publishers and advertisers, in exchange for a cut of the money changing hands. With your personal blog, you can generate a passive income easily. You can make money from mediums like affiliate marketing, selling ads, product reviews, sponsored posts etc from your blog. This medium however, requires no extra effort from you, it’s simply a way to take full advantage of the content and traffic you will build up. Currently, there are a lot of affiliate marketing programs you can partake in earn big. As for ads, registering your blog with Google AdSense will be a good move. A growing number of people are interested in using WordPress. One the other hand, most of them do not want to border themselves about the technicalities involved. So what do they do? The opt for a setup service provider. That may seem like complex words but your functions are simple. All you have to do is, buy the domain, install WordPress as the blogging software, add a theme and then install necessary plugins. Simple right? To further secure the website, you can recommend to your client to subscribe to a security service. For blogs to run smoothly, they need a fair amount of useful plugins. Have you noticed a problem faced by bloggers? You can take advantage of that gap in the market and create a plugin that solves that problem. There are thousands of plugins available in WordPress some of them are free and the remaining are premium ones. A good way to make passive income with plugins is to make the first version free, them make a premium version available were there will be more features. Depending on how useful your plugin is, it should be a big success. Even after creating wordpress blogs for clients, your money-making opportunity doesn’t just end there. You can still make money with WordPress in 48hours by carrying out updates, adding plugins, changing themes etc. The list goes on, on things you can do to make more money. Whenever making money online is been made mention, it Is never complete without affiliate marketing. In my earlier articles, I have look into Nigeria affiliate program that pays and how to sign up for each of them. 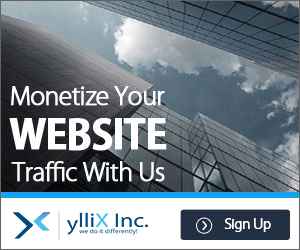 You can make money within hours by signing up as affiliate of site Jumia, Konga and Amazon. All you have to do is sign up for the affiliate, get your affiliate link, write a well SEO optimized content that is related to the link of product you are promoting and get referrals. Other method of achieving this, which are outside the context of the blog post are Facebook ads and Instagram ads. Incorporating affiliate marketing is one of the fastest way to earn from blogging/without a site. But most people don’t know how it works and how to monetize a blog within months of creation. Affiliate program work in the following way: You simply promote a products/services related to topics on your blog. Ads related to this articles are placed alongside your article. When your blog visitors click on them and purchase a product. You will receive a commission after each successful transaction. One of the factors that contribute to how much you make from affiliate program is how large your blog audience is and How much trust they have in you. Making the Best out of Affiliate marketing has a lot to do with our you promote the affiliate link and the type of audience you are targeting. You can’t be selling school bags and be targeting adult within the range of 30-40. I can assure you that making a dime won’t be possible. In the sub-Heading, I will briefly look into ways through which you can promote your affiliate link. Promoting affiliate and getting referrals as affiliate is not a rocket science.all you have to do is follow what others are doing and repeat the process. WordPress is an amazing and creative platform that has brought a lot of opportunities with its creation. We have provided you a definite list of proven ways to make money with WordPress in 48 hours. With the approximate approach to the mentioned mediums of making money with WordPress, you should be able to make cool cash. We hope we have provided you with satisfactory answers to your question. Do you have any contribution to make? Don’t fail to reach out to us. Do you need further information on this topic? Drop a comment or send us a mail.